MSI uses an updated version of the Award BIOS and it looks like they have exclusive rights for it because they're the only manufacturer that uses it we know of. There aren't many memory tweaks, only CAS Latency adjustments and memory frequency options. There are quite a few overclocking options too. Not exactly the most fun BIOS. RAS to CAS, DRAM CMD Rate, etc are all taken care of now by the Timing Setting Mode. 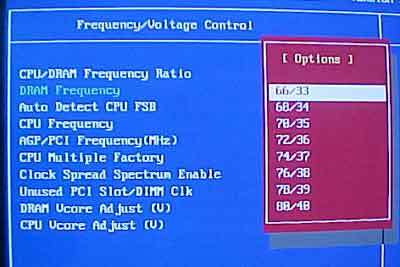 You can't adjust the AGP mode in the BIOS, it's all auto. I'll get to the DRAM frequency in a moment. 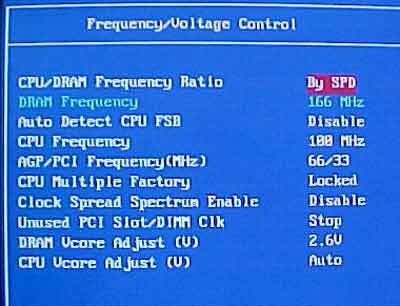 You can adjust the FSB from 100 MHz to 200 MHz in 1 MHz increments. 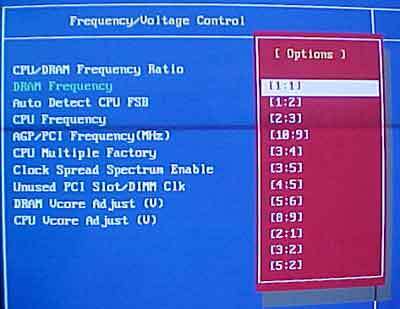 You also have the ability to lock the AGP/PCI speed, CPU Vcore goes up to 1.6V (for NW processors) and DIMM voltage can be up'ed to 2.8V.